This is seriously the simplest brunch/snack/treat to make..and the tastiest 🙂 It’s perfect if you have friends in town, need a hangover cure, or have hungry roommates! I have made these in all three situations, and it hasn’t failed yet. 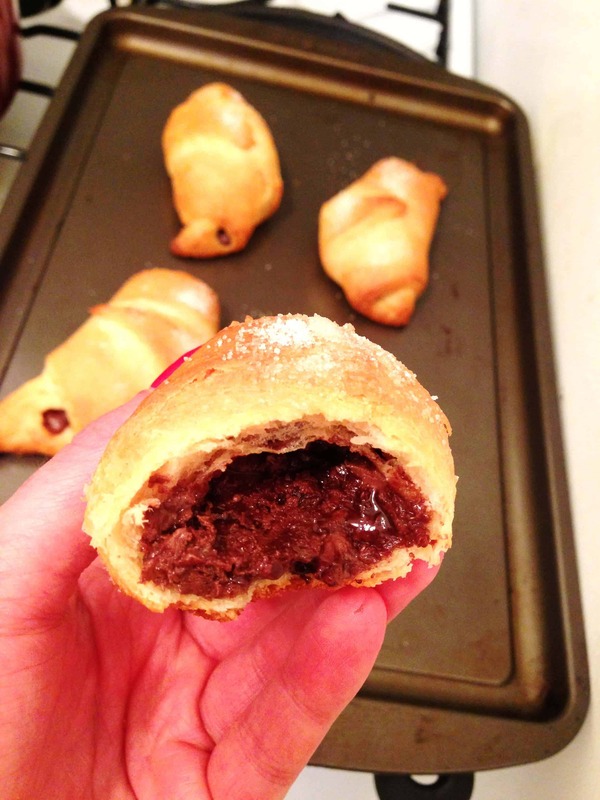 If you want to make your own croissants, this is a great recipe. If you’re crunched on time, or would rather sleep in an extra hour, you can definitely use pre-made dough instead! 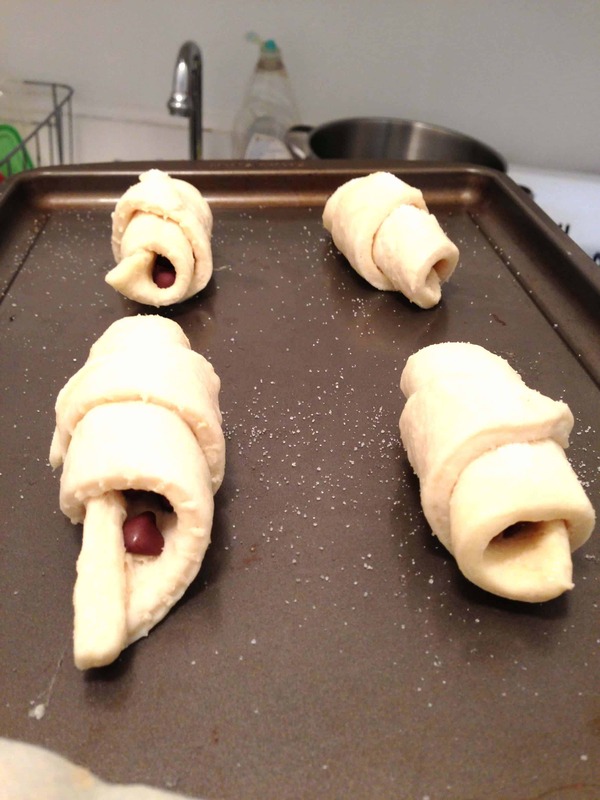 I’ve made these both ways, and generally I like to cheat and use Pillsbury dough. 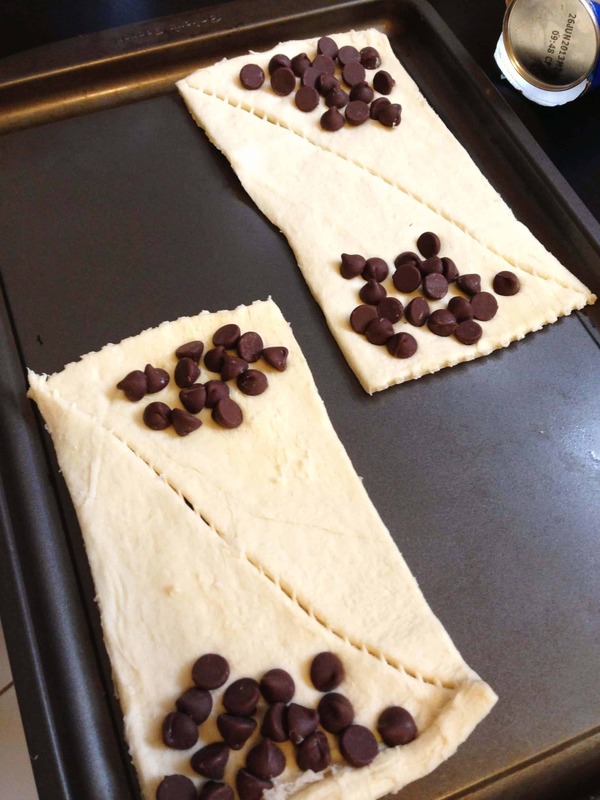 It’s just so much easier, and Pillsbury really does know what it’s doing. I started by preheating my oven to 375 degrees. 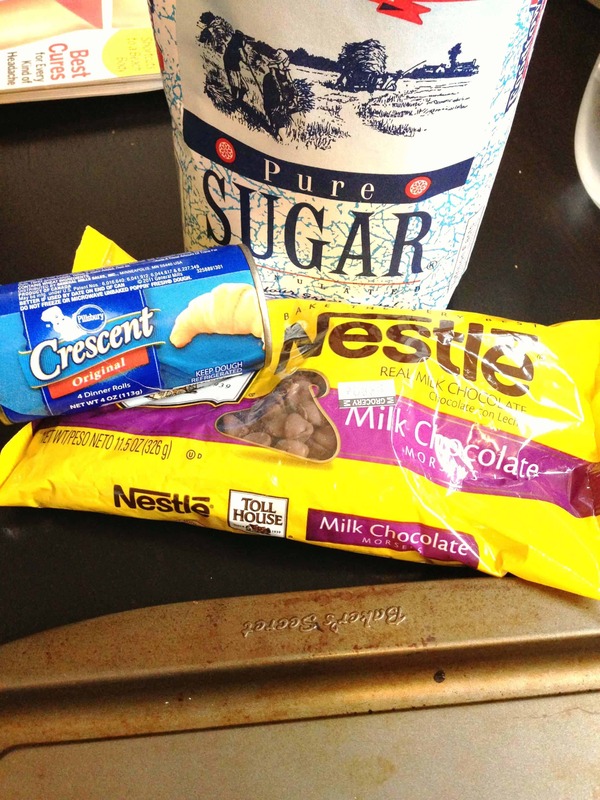 Then I popped open my can of “crescent” dough, rolled them out, and put about two tablespoon of chocolate chips at the base of each triangle of dough. I used a mini roll of dough that made four croissants, because only my roommate and I were eating them.